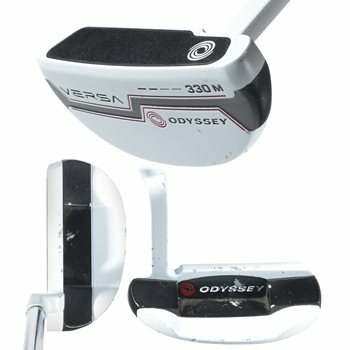 The Odyssey Versa putters feature high contrast alignment technology which highlights the proper face angle from address to impact. The black and white contrast allows your eyes to key in on the putter''s linear designs on the putter to improve concentration. The improved white hot insert features a more consistent sound, feel and performance across the face. The versa putters accentuate the face angle at address, and highlight the face angle throughout the stroke.